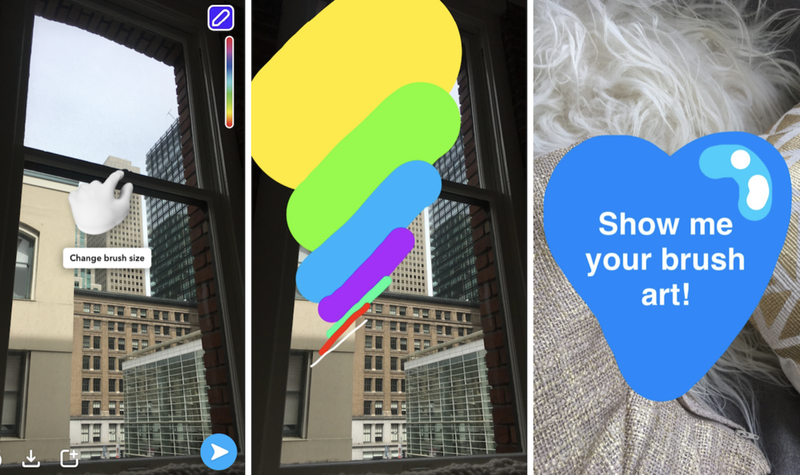 Snapchat has quietly introduced the option of changing the paintbrush size to Android beta users a few days ago and Snapchat brush size feature is now available to all users, opening even more doors for creative expression on Snapchat. To change the brush size, one needs to take a photo or a video, select the Brush icon on the top of the screen and pick the brush colour, and then simply zoom in or out using two fingers on the screen. The users are notified about the new feature by a gesture that appears when you select the brush tool. You can see the walk-through of the new Snapchat brush size feature in the video below. If you need inspiration, here's our selection of 5 creative people to follow on Snapchat.